CHARLOTTE AMALIE — The local government for years has “redirected” money intended to help pay insurance claims after large disasters for other needs, raising the vulnerability of residents after Hurricane Irma destroyed St. Thomas and St. John two weeks ago and Hurricane Maria is poised to decimate St. Croix on Wednesday. During years of yawning budget deficits, this U.S. protectorate has tapped the V.I. Insurance Guaranty Fund to pay for other public services, according to government financial records reviewed by Reuters News Service. Since 2007, nearly $200 million was transferred from the fund, including $45 million in fiscal 2011. Insurance guaranty funds, present in every state and some territories, pay outstanding claims to residents and property owners if an insurance company becomes insolvent. St. Thomas, St. Croix, and St. John has historically relied on its insurance guaranty fund to pay claims after Hurricanes Hugo in 1989 and Marilyn in 1995, according to a 2007 government news release. In 2012, the Virgin Islands Legislature and Gov. 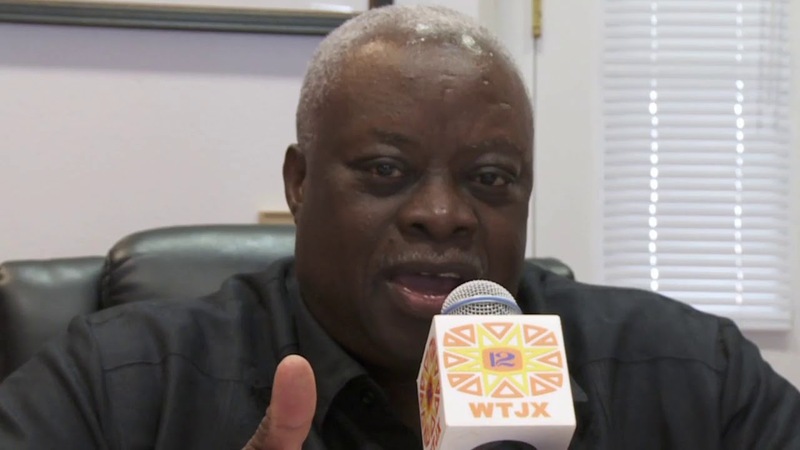 Kenneth Mapp reduced the minimum balance of its insurance guaranty fund to $10 million from $50 million. The fund earns about $16 million annually in revenue. Territorial officials could not be reached for comment today. Hurricane Irma, a category 5 hurricane that the U.S. National Hurricane Center has called “the strongest hurricane in the Atlantic (Ocean) outside the Caribbean Sea and Gulf of Mexico in NHC records,” struck the Virgin Islands on Wednesday. President Donald Trump declared a state of emergency in the U.S. Virgin Islands in advance of the storm, which authorizes the Federal Emergency Management Agency (FEMA) to coordinate disaster relief efforts and possibly pay for disaster recovery. The insurance guaranty fund ended the last fiscal year in September 2016 with $10.4 million. The V.I. government budgeted $12 million to be pulled from the fund this fiscal year and has proposed transferring another $15 million to the general fund for the new fiscal year that starts Oct. 1. In 2013, the territory authorized up to $40 million of debt issuance in case it needed to pay claims, but early this year, the Virgin Islands government was essentially frozen out of the municipal bond market by investors spooked by trouble in neighboring, bankrupt Puerto Rico. S&P Global Ratings warned prior to Irma that it plans to withdraw its credit rating for the territory within the next 30 days, after the territory’s government said it would stop providing information to the rating agency. For years the Virgin Islands sold debt to help fund essential public services and budget gaps. With just over 100,000 inhabitants, the protectorate now owes $2 billion to bondholders and creditors. As of August, the Virgin Islands government had about three days’ cash to pay for operations, according to rating agencies. In response to the downgrades, the local government said that it was “aggressively and proactively” cutting spending and increasing revenues through more stringent tax collections and new so-called “sin taxes” on liquor, cigarettes and sugary drinks. The territorial government still owes money for damages and services racked up during previous storms, according to financial statements published in June. Financial experts say Mapp will use the excuse of the destruction caused by Hurricanes Irma and Maria to declare bankruptcy for the territory. TOURISM COMMISSIONER: Government Has Struck A Deal With American Airlines To Fly Tourists Off Of St. Croix In Advance of Hurricane Maria ... For Free!